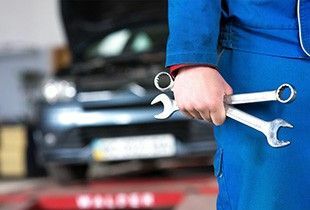 Oil change every 4 months, tire rotation every 8 months, full wash every week – maybe. You do a lot to extend the life of your car. Did you know there are also steps you can take to care for your weighbridge? Read on to learn more. A truck scale is a major investment, so it makes sense to care for it in a way that prolongs its life. Here are a few things you can do to extend the life of your weighbridge. Vehicle scales are located in some of the roughest environments possible. For this reason, they can get packed with mud, debris, weighed materials, oils and corrosive substances. As the scale owner, you should check your scale on a weekly basis to see if cleaning is needed. 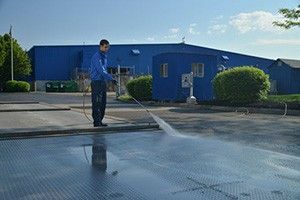 A standard power washer usually does the trick. And, with POWERCELL®PDX® load cells which operate without the need for a junction box, there is no need to worry about damage from water getting inside the load-cell system. Legal tolerance testing is the law. In most regions where your scale is being used to sell goods, it must be tested and certified by the local measurement authority at least once a year. Keep in mind, however, there is a difference between legal tolerance and true accuracy. Many companies will offer a yearly maintenance package with their scales. 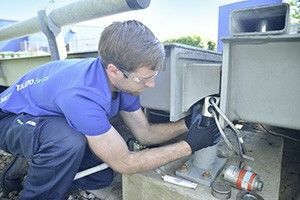 During these visits, a service technician comes to your site and checks a variety of different points on your scale and makes recommendations for future care. While this may seem like an unnecessary expense, in reality these checks help to extend the life of your scale by detecting and correcting potential issues before they become costly problems. If your scale is already older and perhaps equipped with an analog load-cell system that experiences reliability issues, then an upgrade may be a good option for you. At this point, you may have done all you can to service your scale – but the load-cell system continues to be a problem. Upgrading to POWERCELL® PDX® load cells can improve your reliability and accuracy, extending the life of your weighbridge. If you are new to truck scale maintenance, a good option would be to register for a truck-scale health inspection. Click here to sign up.